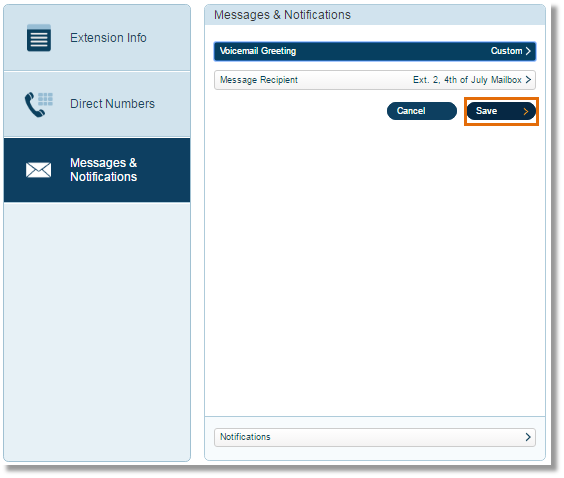 How do I setup a Messages-Only Extension for my Company Holiday Schedule Mailbox? 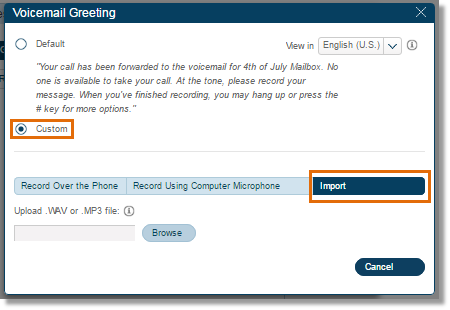 Setting up a specific mailbox for voicemail messages during a company holiday is a convenient way to inform the caller that your company is on a holiday, and then allows the caller to leave you a message. 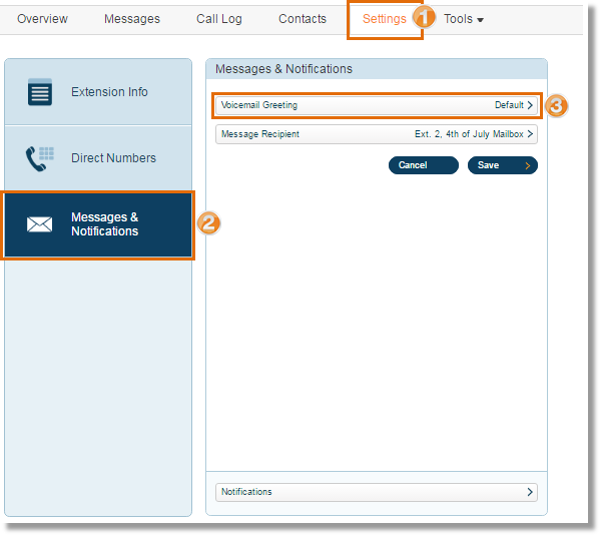 To create this mailbox, you need to create a Messages-Only Extension as an Administrator. Follow the steps below to set up a company holiday mailbox. 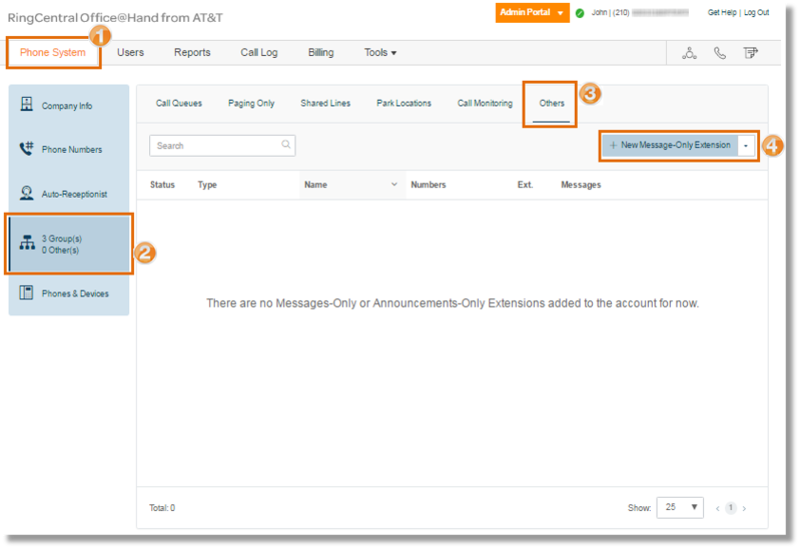 On your AT&T Office@Hand online account, go to Phone System > Groups > Others. Click + New Message-Only Extension. Select Message-Only Extension and click Next. 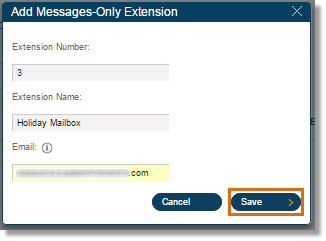 Assign the Extension Number, Extension Name, and add your email address. The activation link will be sent to that email address. Click Save. Click the activation link on the Activation Email. 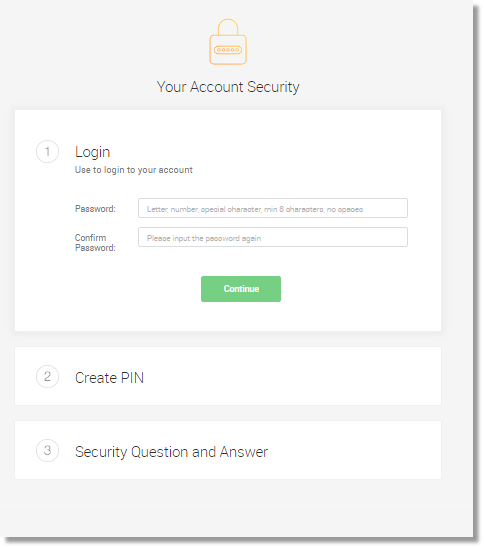 Setup the Password, PIN and Security Question. Click Done. Note: You will be redirected to that Messages-Only Extension’s account page. This means that your extension is already activated. 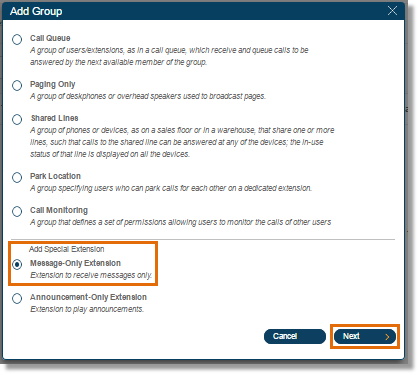 Click Settings > Messages & Notifications > Voicemail Greeting. Click Custom > Import. 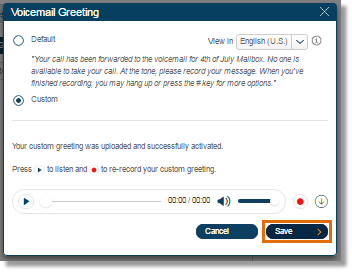 Here you can upload your pre-recorded Holiday greeting .wav or .mp4 file. > click Attach, then click Save. 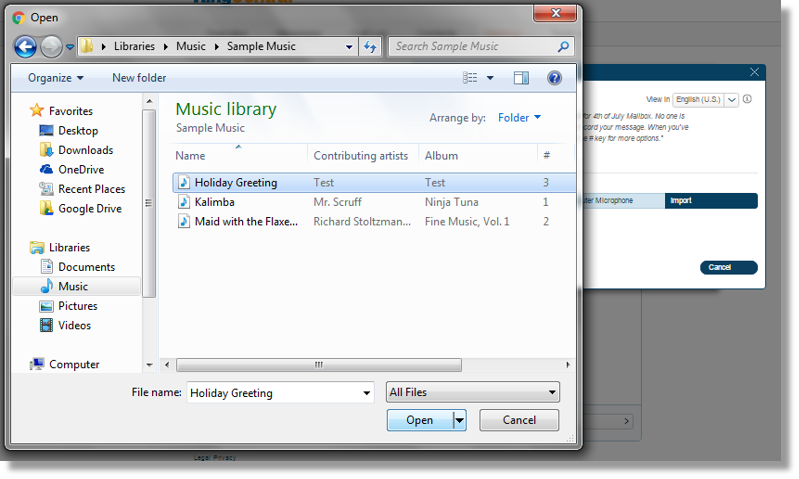 Click Browse then select the custom greeting for your Holiday Schedule. Click Attach and then Save. 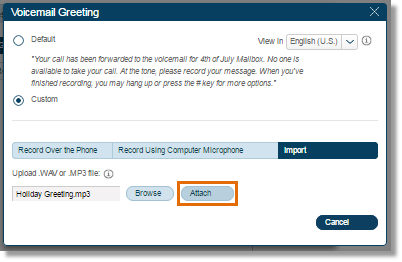 Note: Optionally, you can Record Over the Phone, or Record Using Computer Microphone.